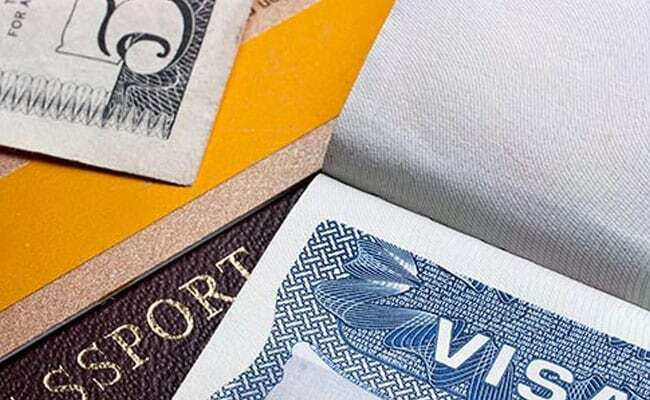 Under the new H-1B Visa policy, the company would have to go an extra length to prove that its H-1B employee at a third-party worksite has specific and non-qualifying speculative assignments in speciality occupation. The new Trump administration H-1B policy move was announced yesterday through a 7-page policy. The Trump administration has announced a new policy that makes very tough the procedure of issuing H-1B visas to those to be employed at one or more third-party worksites, a move that will hugely impact Indian IT companies and their employees. Under the new policy, the company would have to go an extra length to prove that its H-1B employee at a third-party worksite has specific and non-qualifying speculative assignments in speciality occupation. The new move announced yesterday through a seven-page policy empowers the US Citizenship and Immigration Services (USCIS) to issue H-1B visas to an employee only for the period for which he/she has work at a third-party worksite. As such the issuing of H-1B visas could be of less than three years. This would reverse the tradition of issuing the H-1B visas for three years at a time. Effective immediately, the new guidance comes weeks ahead of the beginning of the H-1B visas filing season, which is expected to be April 2, for the fiscal year 2019 beginning October 1, 2018. When H-1B beneficiaries are placed at third-party worksites, the companies must demonstrate that they have specific and non-speculative qualifying assignments in a speciality occupation for that beneficiary for the entire time requested on the petition. While an H-1B petition may be approved for up to three years, the USCIS will, in its discretion, generally limit the approval period to the length of time demonstrated that the beneficiary will be placed in non-speculative work and during which the petitioner will maintain the requisite employer-employee relationship, an official statement said. Extensions of H-1B visas have become even tougher, in particular if the employee has been on a bench for any part of their previous duration. Sometimes American companies abruptly end the contract of an employee as a result the workers temporarily do not have any work, which in IT parlance is called on bench. During this period, while they maintain their H-1B visas status, official investigations have revealed that foreign IT workers on H-1B visas do not get paid, which the USCIS says is illegal and abuse of the system. "If an H-1B petitioner is applying to extend H-1B employment for a beneficiary who was placed at one or more third-party worksites during the course of past employment with the same petitioner, that petitioner should also establish that the H-1B requirements have been met for the entire prior approval period," the USCIS said. And if these conditions are not met, and if the petitioner did not comply with the terms and conditions of the original petition and did not file an amended petition on time, USCIS may have eligibility concerns about a subsequent petition filed to extend the beneficiary's employment, the policy memorandum said. The latest policy memorandum is part of President Donald Trump's 'Buy American and Hire American Executive Order' and the directive to protect the interests of US workers, it said. Employment-based petitioners who circumvent the worker protections outlined in the nation s immigration laws not only injure US workers (eg their wages and job opportunities), but also the foreign workers for whom they are petitioning, it said. Companies seeking H-1B visas for their employees working at a third-party site, would now have an intensive paper work to file before submitting their applications. This includes evidence of actual work assignments, which may include technical documentation, milestone tables, marketing analysis, cost-benefit analysis, brochures, and funding documents. The letter should provide information, such as a detailed description of the specialised duties the beneficiary will perform, the qualifications required to perform those duties, the duration of the job, salary or wages paid, hours worked, benefits, a detailed description of who will supervise the beneficiary and the beneficiary s duties, and any other related evidence, the USCIS said.